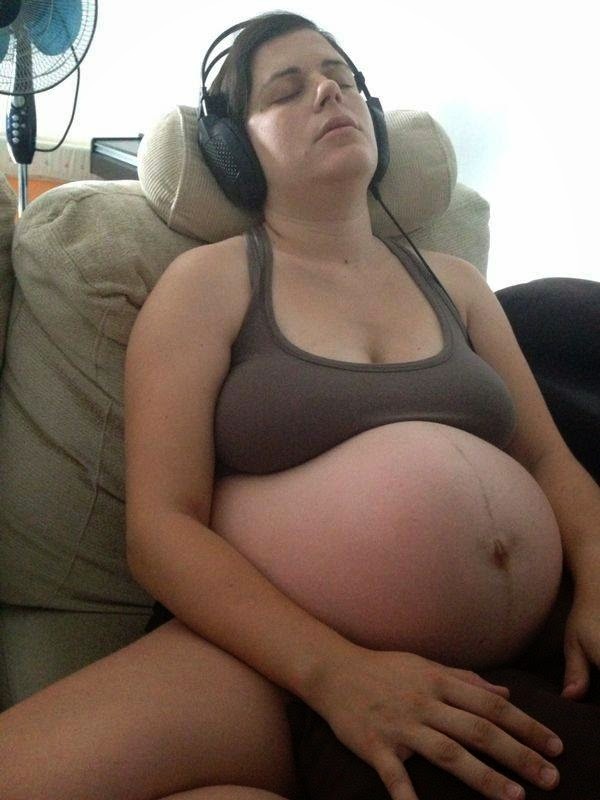 Mama escuchando su grabación del programa Tu Parto Consciente "Día de Tu Parto Placentero". Que ademas de la hipnosis guiada cuenta con la maravillosa música de EmotionaPiano. Aquí la mama estaba con contracciones, como se puede ver por la forma de la barriga. Contracciones que cuando no escuchaba la grabación no podía hablar y necesitaba concentrarse en ellas, pero gracias a la grabación estaba completamente relajada y hasta podía dormir. Capturando momentos bonitos mientras mama se apoya en papa. Este parto en un hospital fue una experiencia muy buena para demostrar lo importante que es formar un equipo y lo bien que una mama, papa, comadrona y doula trabajan juntos. Especialmente en circunstancias que requieren mucho apoyo. Fue un dia en el que habian muchos patros y solo una matrona. El resultado fue un parto maravilloso, un PVDC natural, respetado y con todo el apoyo que la madre quería tener de su pareja, su matrona y su doula. Gracias por acompañarnos a Rafa, Eloi y a mi en nuestra lucha de tres días y tres noches, con tanta calma, con tanto amor y con tanta confianza. No fue un parto fácil; hubo muchos momentos de intenso dolor en el cual tus grabaciones de hipnosis fueron una maravilla, hubo momentos de bajón donde yo quería tirar la toalla y allí estuviste recordándome quien era y qué quería. Superamos el agotamiento gracias a que continuamente sacabas armas de tu bolso de Mary Poppins. Me animaste a comer y a mantenerme hidratada, nos diste la seguridad de que todo iba a estar bien y de que el bebé estaba bien y aguantaba bien nuestro ritmo de parto tan lento: y así fue. Para mi pareja fuiste el apoyo necesario para sentirse seguro, la calma de saber que todo lo que estaba ocurriendo era normal y estaba bien, sobretodo en el expulsivo. Nuestro intenso pvdc no hubiera sido posible sin ti, seguro. Y lo mejor es que luego nos hiciste un vídeo precioso de todo el parto. :_D Un besazo"
Beautiful, respectful, hospital birth, with some very informed parents. "My husband and I originally came from Germany and were not acquainted with local hospital policies concerning birth procedures. Surely being a bit scared we decided to hire a doula to help us through the whole process and get to know our choices and rights. As soon as we saw Zeresh and talked to her, we cancelled other interviews with other doulas. Her extensive knowledge concerning birthing procedures and a friendly, calming way of communication gave us much confidence to go for a natural birth in a hospital setting. She told us all about different options we had during labor and explained us our rights if we were not willing to do something. If it hadn't been for her, we would have never found out about them. After two resourceful meetings with her we were best prepared for the birth of our baby. 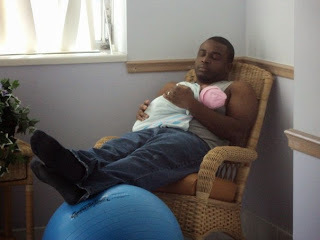 During the labor and delivery Zeresh was such a great help not only to me, but also to my husband. She was instructing him how to help me ease my pain by doing massages and supporting my back. She was also giving me cold compresses which was so relieving. I was having a labor using a Hypnobirthing technique. Unfortunately, this technique stopped working for me during pushing phase. That's when I remembered the breathing technique that Zeresh showed and demonstrated to me during our preparation time. I immediately started using it and was very successful with it. Just when I was about to give up, she encouraged me emotionally and helped me through until the very birth of my precious son. Her way of support was just about right – not too much and not too little. She was there when I needed her and she left me alone when I needed to be alone. Her tremendous help and loving way of support gave us an experience of a truly natural birth without any medical interventions. 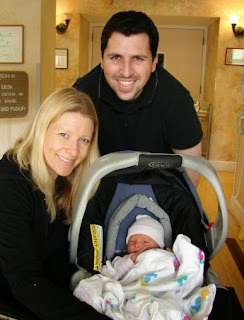 We highly recommend her to anyone – a truly loving birth experience!" Tricia, Jordan, and baby boy Braden. The reward of trust and hard work! "My water broke a week after my due date but labor didn’t start. Zeresh transformed my hospital room to a relaxing and peaceful place and went through various stretches and exercises with me. After 24-hours of very little progress, my midwife suggested a C-Section. Because of the knowledge and support from Zeresh (and the fact that both mother and baby were fine), my husband and I were able to stand up to hospital protocol and insist on having our baby the way nature intended. Zeresh suggested a chiropractor who specialized in pregnant women to come to the hospital to adjust me. Luckily, that adjustment seemed to trigger labor. Zeresh was amazing support during labor and delivery! I know she is one of the main reasons that I didn’t have a C-Section and words can’t express our gratitude for her services. I would recommend Zeresh to any mother." Tiffany, Mike, and baby girl Ayla. A beautiful VBAC! "This whole VBAC experience was a tremendous, beautiful thing. I would have never been able to do it without you. From the beginning you did nothing but encourage and support me. From the moment you stepped into my home I knew I had a gentle loving hand to help guide me through the most trying and difficult time I've ever endured with my body! It was like a weight had been lifted and you were so confident and so calm." Nicole, Andy, and baby boy Skyler. Its all about informed decisions. "I can't thank you enough for your support. During labor you were amazing, helping me through every bit. I am so lucky I found you, you really made a difference for all three of us." Brandi, John, and baby girl Lyric. Sometimes things don't go as planned but being prepared, having the right support, and knowing you did all you could helps in the acceptance process.